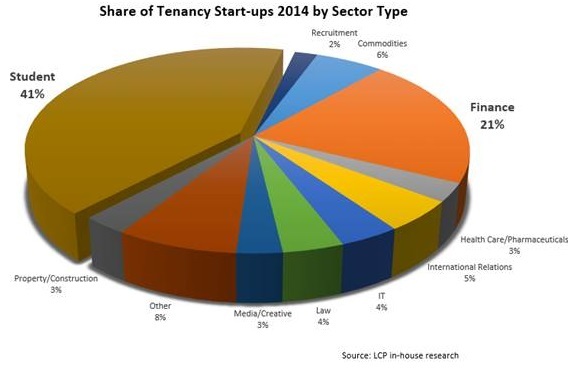 Students represent 41% of PCL tenancy start-ups whilst financial professionals fall to lowest level. The increasing importance of the international student sector in Prime Central London (PCL) has been confirmed, as London Central Portfolio publishes its results from their annual lettings audit. Rental of apartments in PCL’s most exclusive neighbourhoods by finance professionals, historically the mainstay of the market, stalled during the credit crunch when employment in the sector fell by around one third. Taking up the slack, the numbers of independently wealthy foreign student renters has been increasing, with their share of the sector doubling from 12% to 29% between 2006 and 2012. This momentum has continued, seeing students representing the largest number of new tenancy starts at a staggering 41% in the last 12 months. There has been a corresponding decrease in new tenancy starts from finance professionals, falling to 21%, the lowest on London Central Portfolio’s records. According to LCP’s tenancy records, the rental sector in PCL has seen a marked recovery with a 6.2% increase in rents for brand new flats in the last 3 months. For re-lets, there has been an increase in rents, in line with the rate of inflation, the first time the market has seen an increase in the last five quarters. Again, students have made an important contribution to this rebound – not only are there more of them, increasing the competition in the market – but they have deeper pockets. Students are outbidding the corporate sector for properties, paying £600 a week for a flat, 7% more than the average market rent of £562. “The increase in student renters in PCL should be no surprise. Westminster houses three of the best universities in the world; Imperial College, University College London and LSE, and sees 100,000 students visiting a year. London has become a magnet to these privately wealthy young adults who are looking for top quality accommodation to go with their top drawer education. With 82% of affluent Chinese families currently planning to send their children to study overseas, this importance of this sectors looks to be going from strength to strength. “Even as financial markets recover, landlords are increasingly buying into the concept international student tenants. Many have experienced a sophisticated lifestyle: they treat properties with the same care are corporate tenants but the wealth underpinning them is stronger. This means they can often outbid professional tenants, offering higher rents, often a year upfront, as parents are keen to install their children in the best, most secure homes” comments Naomi Heaton, CEO of London Central Portfolio. This however has led to an increased seasonality in the market. Some students will only be renting for an academic year, which contributes to the higher level of new tenancy starts ups by the student population. On the other hand, tenants from the financial sector may extend their tenancies and stay put for a number of years, which remains attractive to a landlord. However, there is always a huge influx in enquiries during August and September for students, replenishing the tenancies. LCP’s audit also reveals a surprising return of British tenants to PCL as economic sentiment and consumer confidence has bounced back. They have taken up 13% of properties in the last 12 months, the largest single nationality. 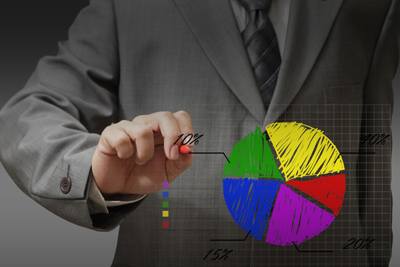 British corporate tenants from a range of employment sectors have been considering PCL again. There are also a whole eclectic mix of British tenants such as entrepreneurs and retired couples wanting to experience the London lights and pensioners studying for their PHD. They have taken pole position from the French, last year’s highest, as they fled from Francois Hollande’s punishing tax regime. 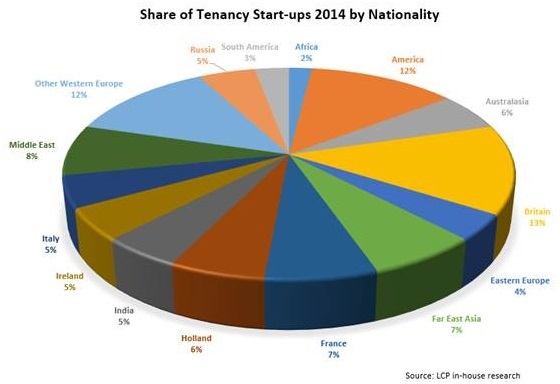 This year, as a whole, the most tenancy starts, 30%, have come from Western Europe. Further data compiled by LCP’s indicates that the market is shifting to smaller one bedroomed units, which have become the hardest working sector, achieving the highest level of average weekly rents at £1.08 per square foot. Most tenants are singles or duos. This reflects both the fact that Central London is a young “go-to” destination where 40% of residents are between 20 and 39 years old and corporate high achievers come over as singles of couples. It also reflects the growing importance of the international student community who generally come over on their own and do not share unless they are with siblings. “The dynamics of the private rented sector have clearly shifted in Central London. To optimise their returns, it is important for landlords to recognise and adapt to the changing landscape” concludes Heaton.